Pre-owned, in ABSOLUTE, LIKE NEW CONDITION, WITH ORIGINAL BOX & WARRANTY PAPERS. 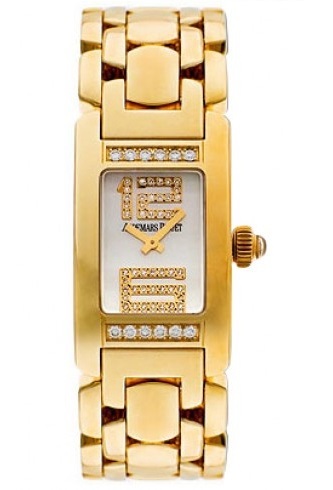 It is 18K yellow gold, with factory set diamonds, quartz movement, and solid gold case back. Retail New $28,800. OUR PRICE $13,800. EXCELLENT BUY! To purchase this watch CALL US 956.687.2981.